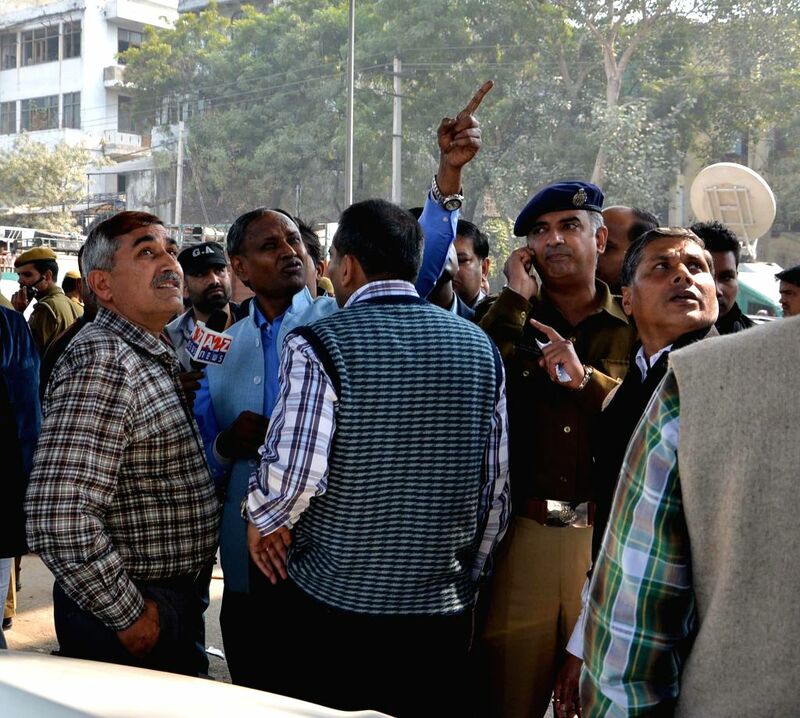 New Delhi: Police personnel at the spot where an under-construction flyover collapsed in New Delhi's northwestern area of Pitampura on Feb 12, 2015. 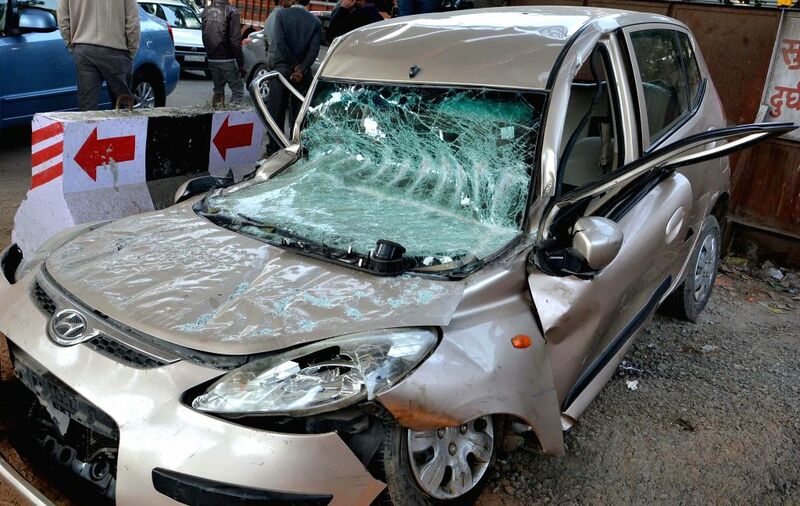 At least three people were injured in the accident. 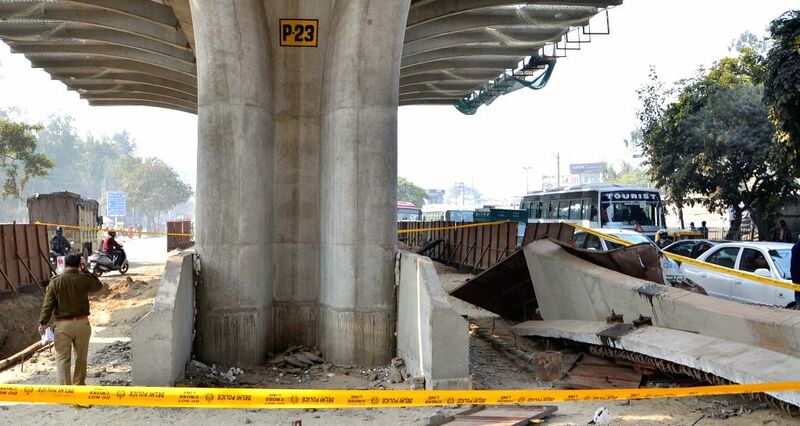 The spot where an under-construction flyover collapsed in New Delhi's northwestern area of Pitampura on Feb 12, 2015. 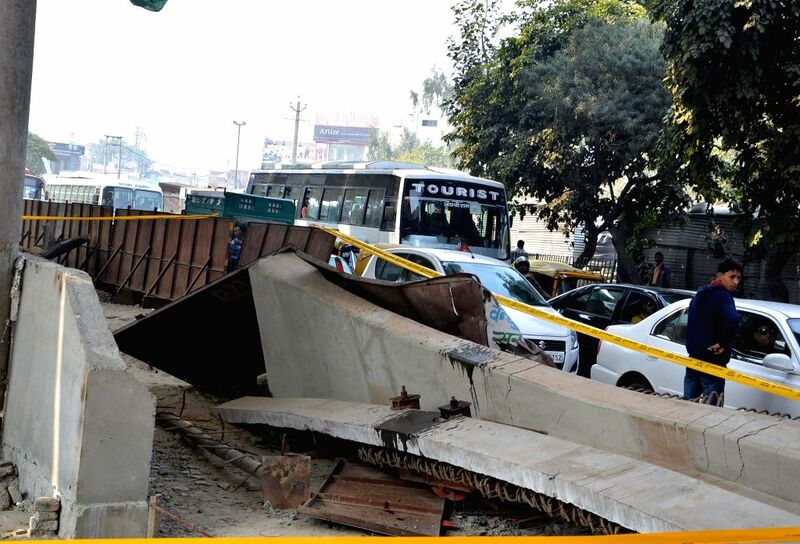 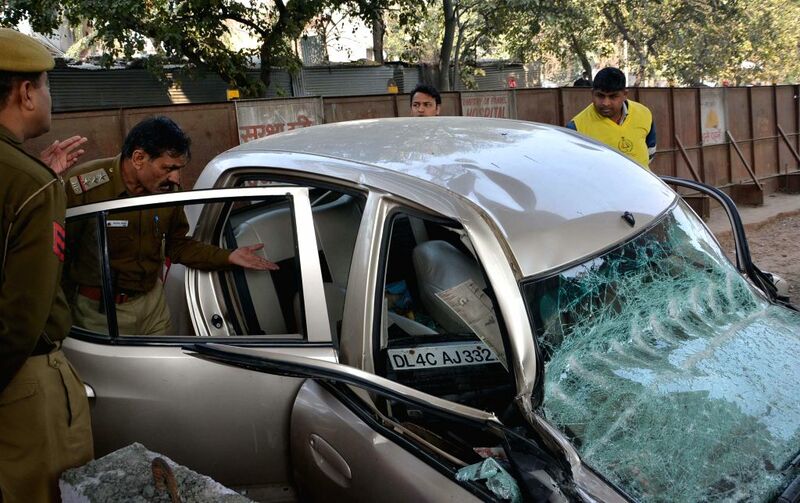 A car that was flattened after a section of an under-construction flyover collapsed on it in New Delhi's northwestern area of Pitampura on Feb 12, 2015.